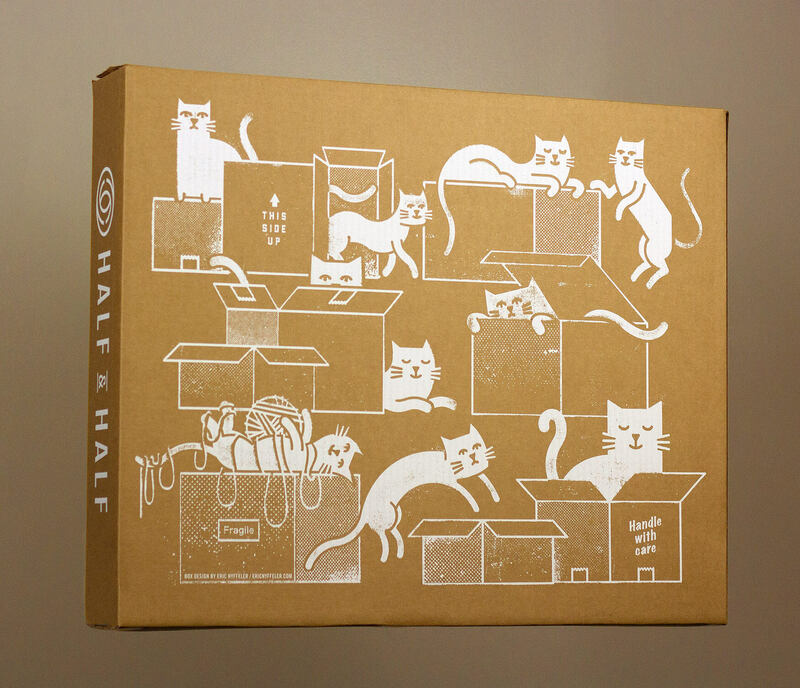 The Half and Half, out of Columbia, SC, have been my printers of choice for over five years now, and we’ve made a lot of fun work together. 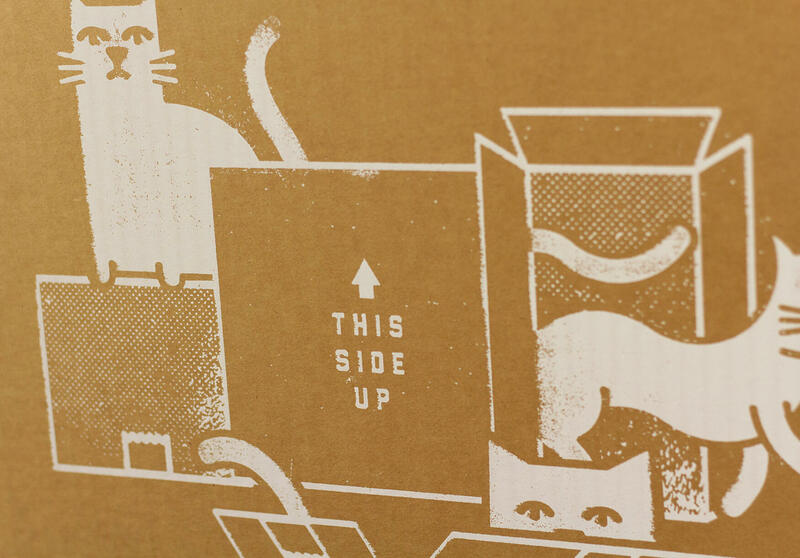 However, this new shipping box that I designed and illustrated for them might be the most fun thing yet! 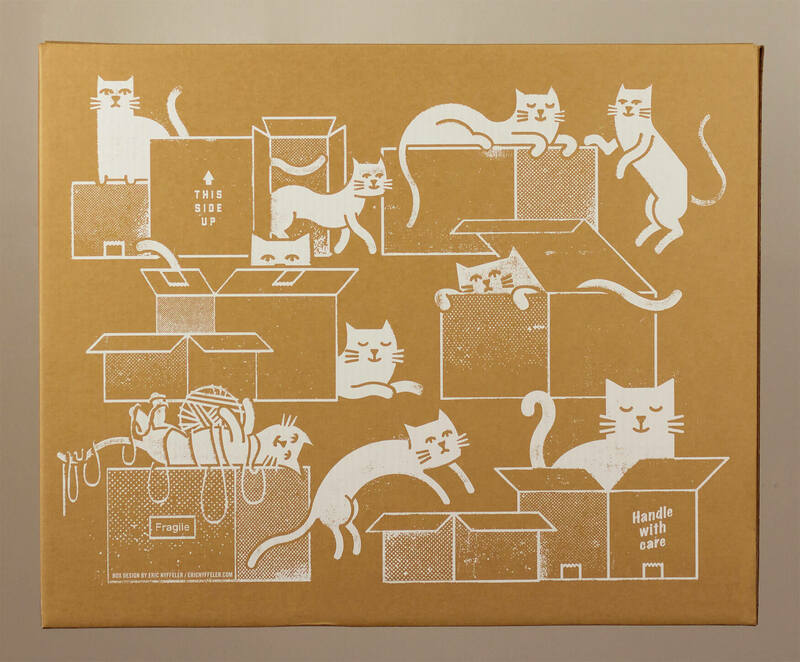 I decided to take advantage of the cardboard substrate and integrate it into the design itself, drawing a herd of playful cats frolicking in and around a stack of card board boxes. 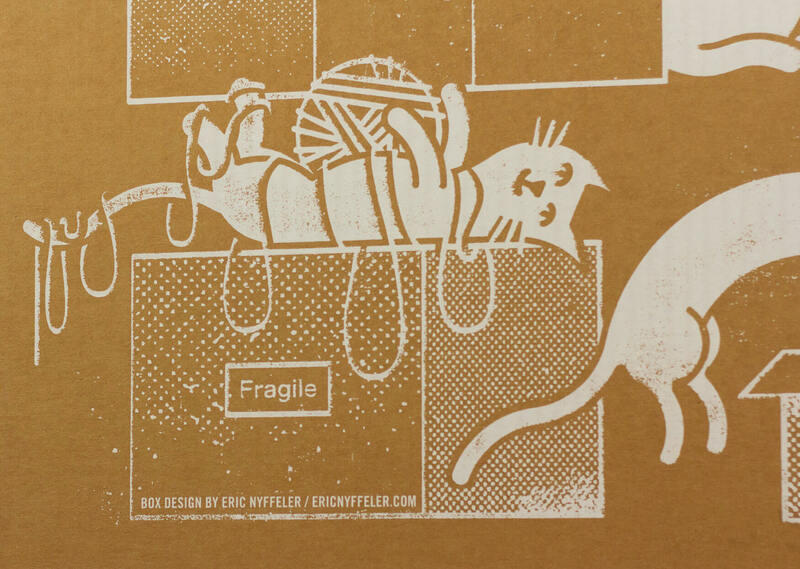 If you hurry up and order some prints from them, you might just see these felines show up to your front door!